Geo has been in our family for 2 months. 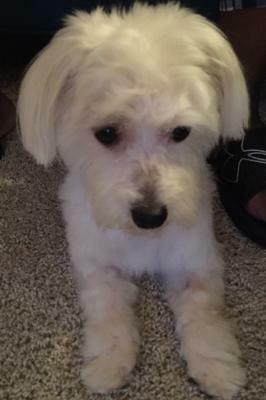 He was not groomed when we got him but we got him groomed shortly after. We think he looks cool with this cut. Estee - I'm so sorry I missed Geo's birthday. I don't know how I could forget such a cutie! I'll make sure he gets a special shout out next month. And no,you only have submit once. Geo has been a part of our family for a year and a half now. We celebrated his 6th birthday on 4/12/18. I noticed he was not listed with the April birthdays. Do I have to join the club every year in order to have him on the birthday list?